Those of you who frequent this neck of the woods may have noticed that my Thanksgiving was so lovely and absorbing that it finally happened. After 5 years… I totally forgot to post the Perfect Picture Book Post on Friday! Just completely never even thought about it until Saturday when I realized I had somehow missed the fact that Friday was Friday! But that reminded me that it has actually BEEN 5 years – my 5th blogiversary was yesterday, December 1! Can you even believe it? How time flies! In celebration of December, and the holiday season, and my 5th blogiversary, let’s have something festive and pretty for our Something Chocolate, shall we? 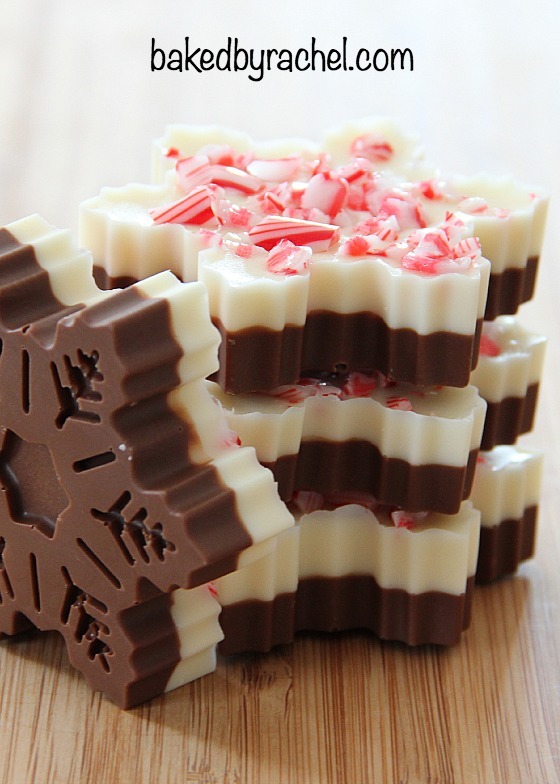 I’m thinking Snowflake Peppermint Bark! The Pitch: What’s Peyton, a witty-cat, to do when his new owner, Pauline—a self-procliamed princess, loves pink and thinks he should be a princess with glittery pink bows too? Peyton dislikes girly stuff and fears he’ll live with pink forever. When Peyton develops some cat-devious ideas, to alert his owner he’s unhappy and should be a prince, Pauline is met with some challenges a princess should never have. Diane is looking forward to your thoughts on her pitch! I am looking forward to Snowflake Peppermint Bark and the upcoming HOLIDAY CONTEST!!! It’s next week, people! I can’t wait to read all the amazing stories that I’m sure you’re hard at work on even as we speak (… right? :)) There are some pretty good prizes on offer, so it’s worth your writing time! I, of course, haven’t got even an inkling of an idea what to do for my sample… somehow I feel like I’ve been in this position before… 🙂 But there are still a few days!